Small Animal Talk: Can exams be relaxing? Drs Brian McErlean, Cathy Warburton and Helen Jones-Fairnie at the Wellness Centre. Do you enjoy conferences, or do you sometimes find yourself conferenced out? 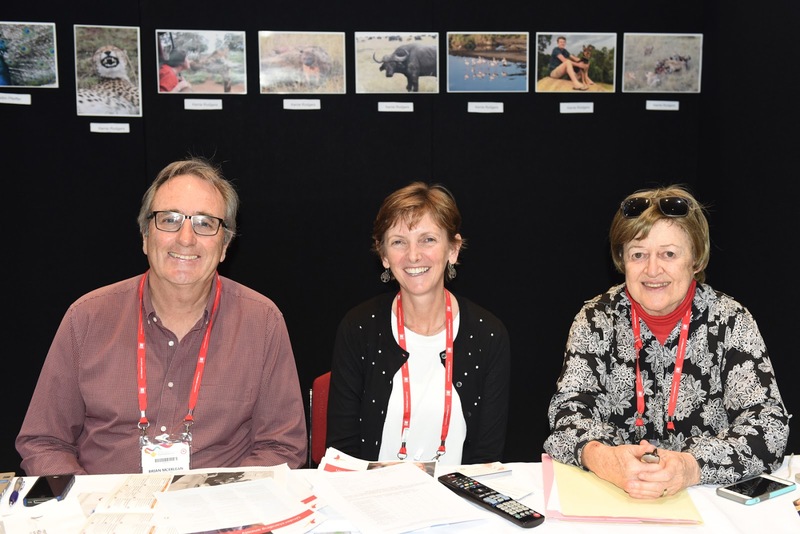 The Australian Veterinary Association annual conference has wound down, and while I enjoyed every minute I found myself a bit tired afterwards. Ahhh, yes. Though I am glad I did – the program was amazing and I’ll be sharing some highlights over the coming weeks. Conferences are exhausting for the same reasons they are awesome – they’re highly concentrated, over-stimulating, sensory-overloading events. Every fifty metres I ran into someone I’d not seen for ages and engaged in amazing discussions. And then there were sessions, plenaries and workshops. For me there were a couple of little havens to recharge. One was the Wellness Centre, where the trusty volunteers who know how important well-being is for our profession provide a space where you can learn more about managing anxiety and depression, undertake a simple health check, look at photos and artworks created by vets and just have a no-stress natter with someone who’s been there, done that or knows someone who has. 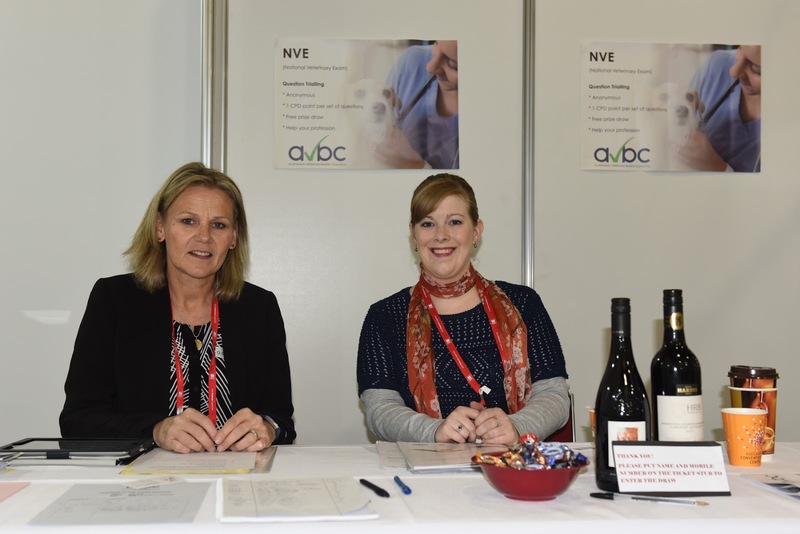 The friendly invigilators from the Australian Veterinary Boards Council were present to ensure the exams were conducted appropriately and that candidates went into the draw for a nice bottle of wine. 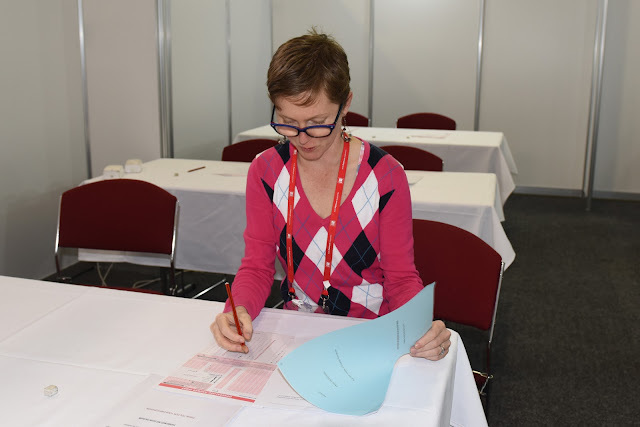 The other is the Australian Veterinary Boards Council examination room. I know. Exams. Aren’t they meant to be super stressful? Sure, if your performance is being assessed. But if it’s about validating questions for those undertaking our national veterinary examination, and its anonymous, AND you can take a cup of tea and lunch in, AND there’s no time limit, AND it’s just a quiet, spacious room where you have your own little desk with free stationary, then it’s actually a picnic. Plus for each of the five papers you do (approximately 20 minutes each), you can earn a continuing professional development point as you’re allowed to check your answers and provide feedback about the questions. This is and has been one of my favourite stands in the exhibition hall. And maybe it’s a good way to desensitise people around exams. This is me re-enacting the exam. Note the peace and quiet. NB the answers on the sheet are for a different paper, and I didn't score 100 per cent so zooming in won't help if you're looking for clues! I think that veterinarians in practice as well as academia should be allowed to submit multiple choice questions as part of continuing professional development. 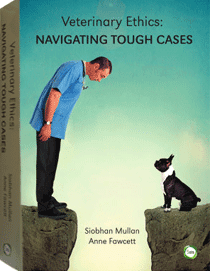 As a student I had no idea how involved MCQ writing can be, but now that I’ve done it I realise how much of an effort it is – and how much research can be involved – in constructing a fair, appropriate MCQ.